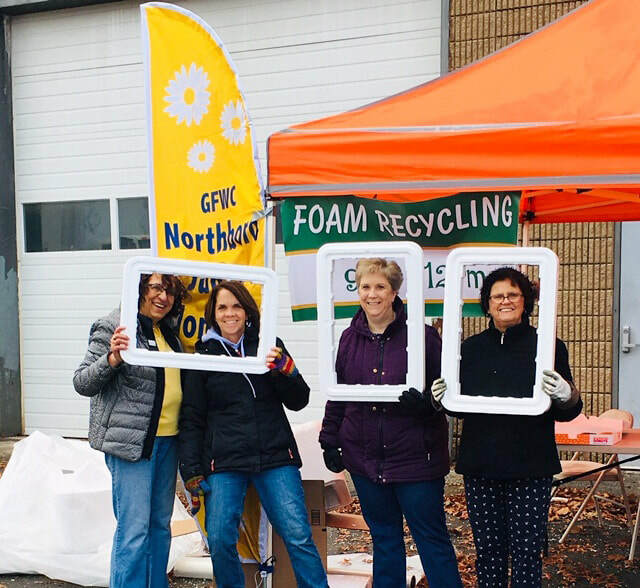 The Northboro Junior Woman’s Club (NJWC) supports all recycling and in the Fall and Spring each year we sponsor a Polystyrene/Styrofoam collection. The 2018 Fall Collection was held on Saturday, November 10th from 9 a.m. until 12 p.m. at Northborough's DPW yard, 190 Main Street. Our next one is expected to be held in May, 2019. We cannot accept anything used for food, including coffee cups. Colored or dirty Polystyrene/Styrofoam will be refused.